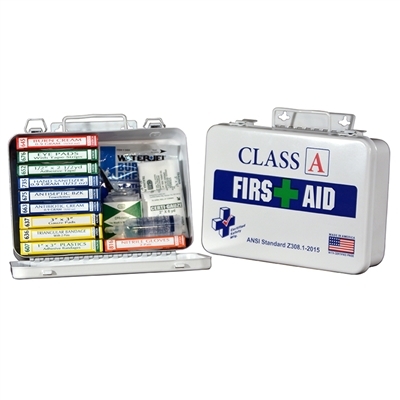 This workplace emergency kit meets the latest ANSI Z308.1-2018 standards and can be easily stored in cabinets, cars or drawers. Class A kits are specifically designed for common workplace injuries including burns and eye wounds, but make excellent home medical kits as well. Case dimensions: 10" x 7" x 3".